These days, consumers have become very much aware of the quality standards and their durability. Products and services are considered for go-ahead only after a thoroughly done research and discussion. In such circumstances, it becomes quintessential for companies of every sort to maintain the quality standards as per the norms set by concerned authorities. Be it manufacturing, services and other segments, every industry is hoped to adhere to parameters that kindle a sense of trust among people. After a long fought battle for consumer rights, the 21st century has been a witness to many revolutionary steps taken by a multitude of companies to ensure the best-in-class products. This has been an arduous task for many companies to deliver on its commitments and promises. We get to see many advertisements in which companies boast of assorted kind of certifications. Now, the question is who those people are that provide accreditation to companies and what is the mechanism for doing that? How do they ensure not to let any undeserving company get the recognitions? The answer is certification companies who make sure that all the parameters are met by the companies. One such company is CDG certifications which has been an expertise in this domain for more than half a decade. The Delhi-based company has developed know-how of the specialization in certification, inspection, training and testing on standards. The company since its inception has traversed a long way by employing a colossal workforce of over three hundred. 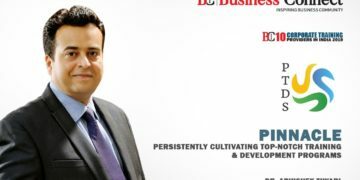 Its Managing Director, Mr Shashi Shekhar, has been a force to reckon with all these years. The company is an accredited ISO certification registrar. It provides certification for most of the ISO standards. When the company was started, there was no directly accredited Indian certification registrar. Entire business was under MNC certification bodies or their franchise. Over the years, the company went on to become the biggest Indian certification body in terms of number of clients. It provides certification, inspection & testing for wide range of standards. It also provides international registrations (legal / trade) to make your exports / foreign business smooth. The endeavor of the company has always been to make its certification process as smooth as it can. Its auditors or inspectors come with a unique aptness that helps them apply practical approach during audit / inspection. The company knew that there are a multitude of companies that lack awareness about accreditation system in ISO certification. It has been a challenge for many companies to know the intricacies pertaining to this arena. Many people do not understand the importance of accredited certification. CDG has assisted companies to know the applicability of the certification. Eventually, it gained big clientele coming from every industry segment mainly SME’s, government sectors organizations & big business houses also. This has been possible due to a dedicated and devoted labor pool. When it comes to employee base, it has a workforce of trained and skilled people. Since its inception, the company has focused on training of employees. By its efforts and enthusiasm, the company makes its employees feel like business partners. Everyone is invited to put his/her suggestions & it always tries to implement positive things. The company has been a promoter of the utilization of Technology in its operations. This has benefited it a lot. By means of Technology mainly IT, it has gained the expertise in developing online audit tools, reporting system. It has enabled the company to conduct remote audit sitting in the offices itself. The company conducts internal audits on regular intervals & through analysis of internal audit reports. It ensures to stay fervent on the impartiality & adherence to quality accreditations. It also analyzes complaints & feedbacks of clients that help it keep a bird’s view on its operations. Moreover, the audit done by accreditation board is tracked on regular basis to check its performance. Recent developments in certification arena have provided a big boost to the industry. The company is quite optimistic about the recent promotional activities put forth by various sectors. MSME has promoted ISO certification in India & they are providing certain reimbursement to SMEs on certification expenses. Even foreign trade policy of India encourages manufacturers and exporters to implement ISO standards in their working system. The company is flooded with numerous accolades. CDG has achieved ISO 17021-1-2015 accreditation form IAS (International Accreditation Services – USA) which is one of the best accreditation boards of world. Moreover, CDG has been nominated for ‘International Quality ERA Award in the GOLD category’. 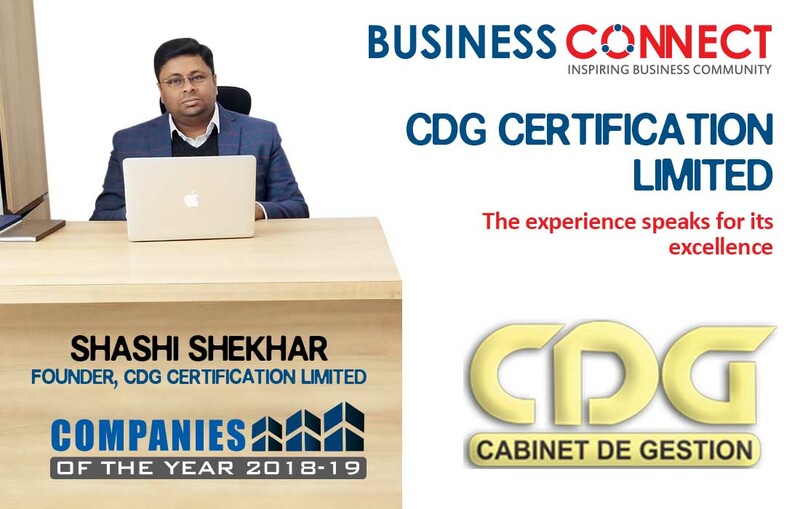 Apart from this, CDG has certified more than 20,000 clients in India till now. The company has many new accreditations in pipeline which it aspires to achieve before the end of 2019. Currently it has offices in 5 cities of India (New Delhi, Mumbai, Bangalore, Chennai & Kolkata). 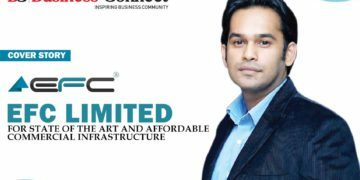 It is planning to spread its network of offices to small industrial cities also. Now that the company has carved a niche for itself it this industry, the company is looking forward to expand its overseas operations, mainly in Middle East & Africa. It has also planned to establish three new laboratories in India that will enrich its expertise and make it the undisputed leader of this sphere. Mr Shashi Shekhar has a long industry experience of more than 12 years. He is a qualified auditor for different ISO standards & other international standards. 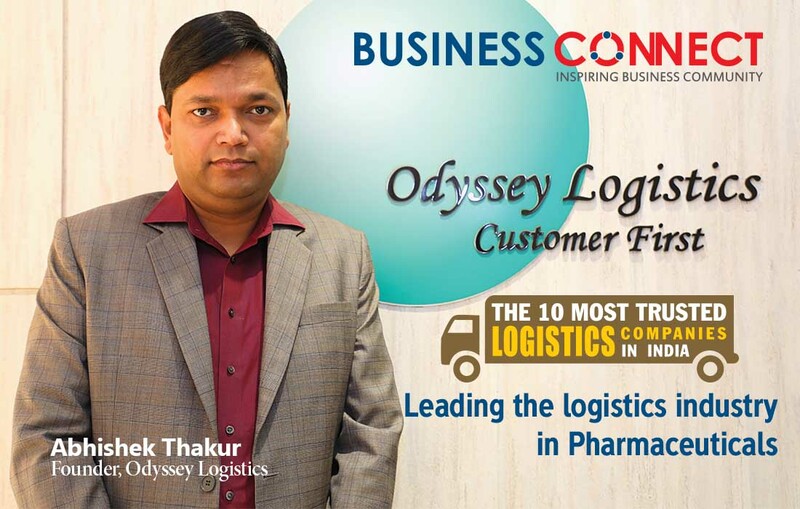 He has earned various degrees that include Msc TQM, PGDM, BASPSM, Lead auditor for various ISO standards.